Bush spokesman Dan Bartlett could only produce copies of records already produced 18 months earlier. In particular, no payroll records were in evidence that would demonstrate Bush actually reported for duty during the three-month assignment in Alabama, which was arranged so that he could work on Winston Blount's campaign for Senate. Blount, a former Postmaster, was a friend of Bush's father. According to Bartlett, the official records were either lost or misplaced. Per the AP report, Bush stated "I can't remember what I did but I wasn't flying because they didn't have the same airplanes. I fulfilled my obligations. A Bush spokesman later elaborated that Bush thought he had held a desk job. Bartlett indicated the campaign was seeking people who had served with Bush in the 187th Tactical Reconnaissance Group based in Montgomery, Alabama, in 1972. In May the air unit's retired general, William Turnipseed, announced that Bush did not report to him, although ordered to. Bush claims to have met Turnipseed and to have spent time in Montgomery. The AP's review of approximately 200 pages of military records from the National Guard Bureau uncovered no evidence of Bush serving in Alabama. Citing Bill Clinton's avoidance of the draft, political observers speculated that the issue would not become a problem unless the candidate was perceived to have lied or misled the public. Williams, Chris. 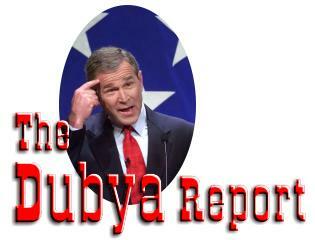 "Bush campaign searches for records on Guard service," Associated Press 24 Jun. 2000.